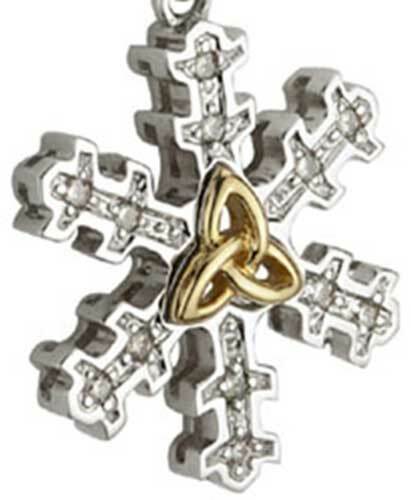 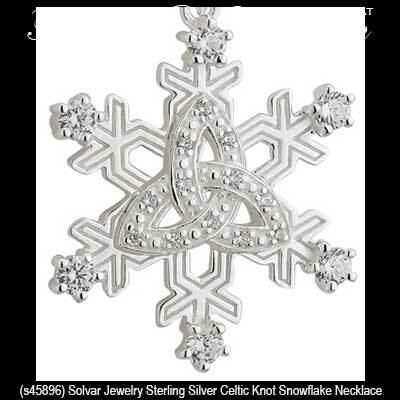 Celtic snowflake jewelry and Irish Christmas jewelry will help you deck the halls this season. 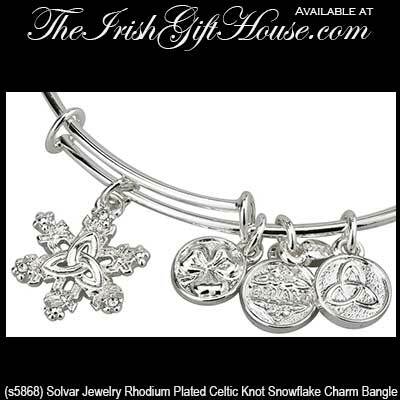 This festive jewelry assortment features Celtic snowflakes and Irish Christmas trees with shamrocks. Have yourself a Merry Celtic Christmas with these brooches, necklaces and earrings that feature Irish Santa along with Celtic snowflakes and shamrock Christmas trees that are available in gold, silver and plated designs. 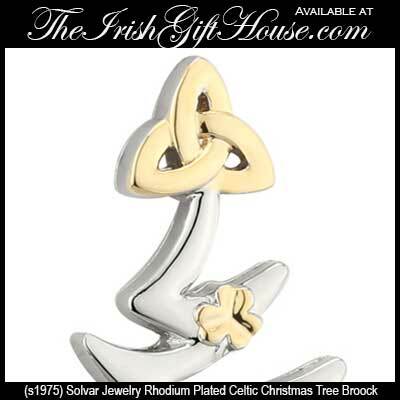 Irish Christmas brooch is in the shape of a tree that features a gold plated Celtic knot star along with shamrock ornaments. 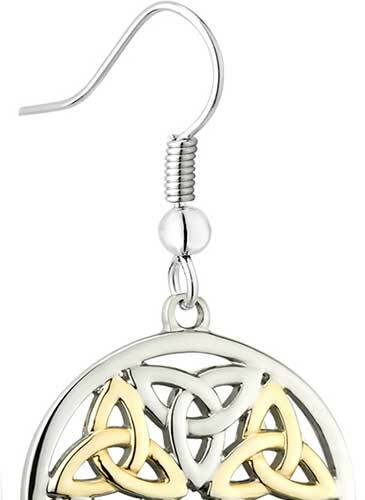 Irish Christmas earrings are in the shape of trees that feature gold plated Celtic knot stars along with shamrock ornaments. 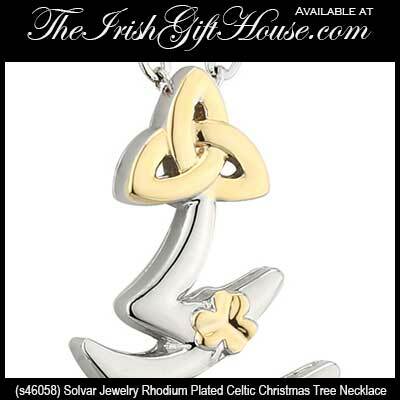 Irish Christmas necklace is in the shape of a tree that features a gold plated Celtic knot star along with shamrock ornaments. 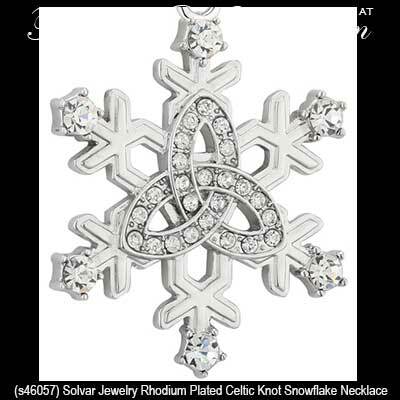 Celtic charm is a sterling silver Irish Christmas tree that features a Trinity knot along with a star. 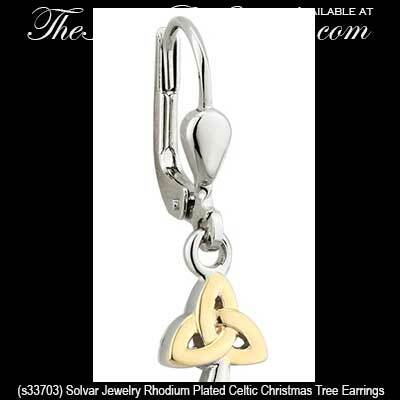 Sorry, this Celtic Christmas charm is now sold out. 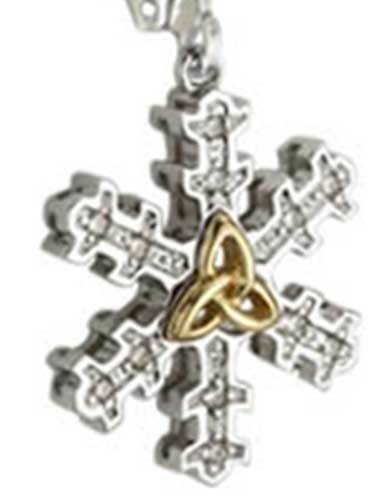 Sterling silver Celtic snowflake charm bead features the Trinity knot. 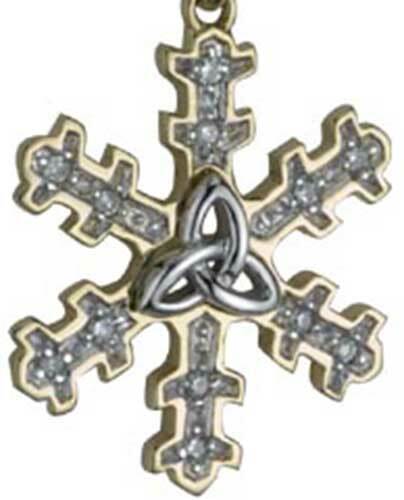 Within this collections we also have silver Celtic Christmas beads, but you may what to see all our Celtic beads for every season. 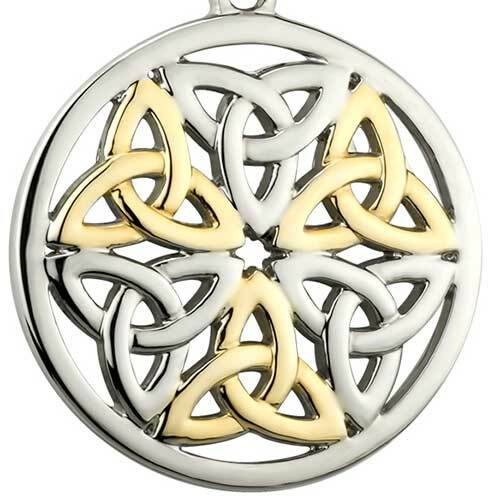 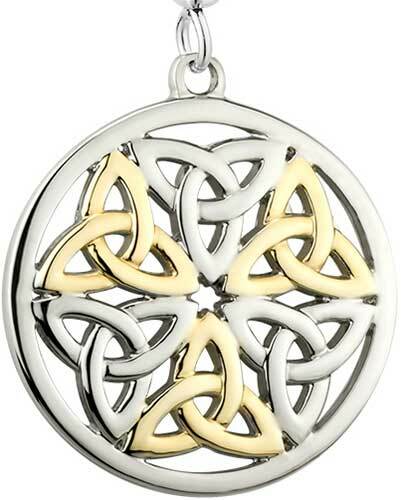 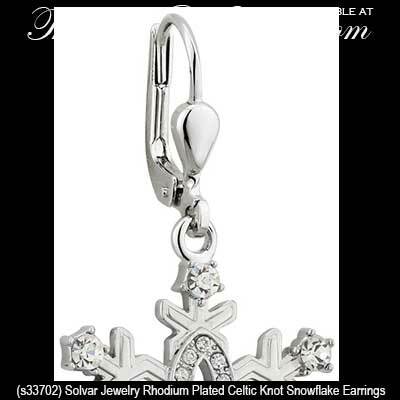 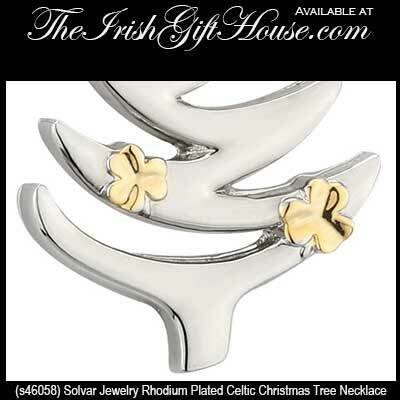 Our Celtic Christmas jewelry is made in Ireland by Solvar.